I am still amazed when I see this piece, even more so when I flip through my folders of originals. 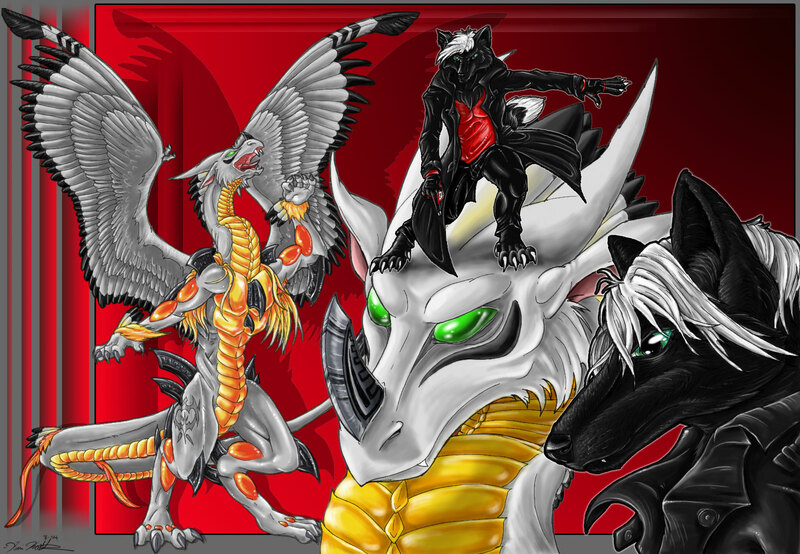 Despite being one of earliest commissions, it still stands out as one of my largest, most complex and highly detailed. I got this commission during the time that I was hooked on the series, Dragon Drive. A friend of mine new I was very interested in seeing the dragon I had envisioned as my own form that world brought to reality so pointed out an artist they knew that was down for doing dragons and familiar with the style the show. Here you see the end result of a lot of conversation and sketches. Artemis and his dragon, Sylva. I have never used this dragon for anything beyond this, was kind of a one off things to pay tribute to the show. I plan to upload the sketches next, but will be placed in my scraps.